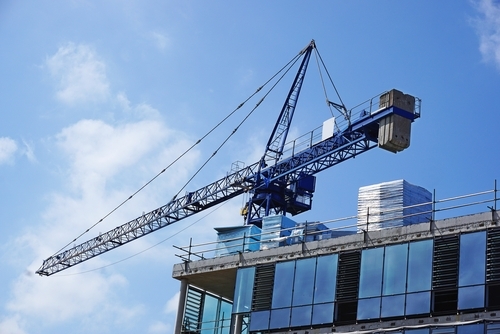 The UK’s construction industry is expected to reach US$242.6 billion in real terms, measured at constant 2010 US dollar exchange rate, according to a report by Timetric’s Construction Intelligence Center (CIC). According to the report, the country’s construction industry output value is expected to register a forecast-period CAGR of 2. 7% in real terms, compared to 4.0% posted during the review period. This modest slowdown is due to the negative impact of Brexit on business confidence, and subsequently on the flow of investments into construction projects. In March 2017, the UK government invoked Article 50, beginning the two-year process to formally exit the EU. The final outcome of the Brexit process will be uncertain for a long time; nevertheless, it is important for the construction industry, as it is expected to weigh on investor confidence, which in turn will determine the industry’s performance over the forecast period. “The impact of Brexit is likely to be relatively modest for the construction industry in the short term, however, as the sector will be supported by large scale investments in public infrastructure projects through government flagship programs, such as the National Infrastructure Plan”, comments Danny Richards, Lead Economist at Timetric’s CIC. Indeed, the government aims to promote economic growth over the forecast period, announcing plans to invest GBP300 billion (US$404.4 billion) to develop various projects in the transport, housing, energy, education, telecommunications, research and healthcare sectors by 2021. Despite these growth prospects, the unstable political scenario following the June 2017 general election is expected to hamper the effective implementation of the government’s infrastructure plan. The general election ended in a hung parliament, with no single party obtaining a majority. The Conservative Party – the country’s present ruling government – entered into an alliance with the Northern Ireland's Democratic Unionist Party (DUP), enabling the Conservative Party to remain in power despite losing its majority. Owing to the involvement of the DUP in governance, the party’s decisions will also play a vital role in the implementation of government policies. Any difference of opinion between the two parties could affect the execution of flagship programs over the forecast period. Residential construction was the largest market in the industry during the review period, accounting for 41.1% of its total value in 2016. Over the forecast period, the market is expected to increase in importance to account for 42.2% of the industry’s total value in 2021. Market growth is expected to be supported by the government’s aim to bridge the gap between demand and supply for housing. In the Autumn Statement 2016, the government allocated GBP5.3 billion (US$7.1 billion) for the construction of affordable houses by 2020. This information is taken from the Timetric report: ‘Construction in the UK: Key Trends and Opportunities to 2021’.